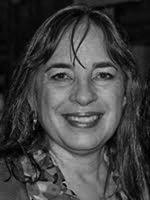 Mari Riddle has over 25 years experience as a nonprofit executive director of both arts organizations and community economic development organizations in Los Angeles County. Formerly the executive director of the Friends of the Levitt Pavilion – MacArthur Park, which produces a free summer concert series, She also directed the First Festival of Latin American Music in Los Angeles which took place over five days on the campus of California State University Los Angeles and East Los Angles Community College. Mari is currently a Program Director with Community Partners which provides comprehensive fiscal sponsorship to emerging non-profits as well as partners with foundations and public agencies to manage major programs and initiatives. In this capacity, Mari is administering the Arts Activation Fund for the City of Los Angeles Dept of Cultural Affairs. She served as loan coordinator for the Center for Cultural Innovation, a founding partner of the Los Angeles Arts Loan Fund. She is the former executive director of TELACU Community Capital (TCC), where she was responsible for the strategic development, management and capitalization of a $6.5+ million CDFI that provided small business loans and business management workshops to small businesses operating in the low-to-moderate income communities of Los Angeles. Mari was also the executive director of the Coalition for Women’s Economic Development (CWED), a pioneer microenterprise development organization. Ms. Riddle is also a singer and musician. She co-founded the Latin American nueva canción (new song) music groups SABIA and Desborde, which performed, recorded and toured throughout the 1980s and mid 1990s in the U.S., Canada and Central America.